LAKESIDE with PRIVATE ACCESS TO THE WATER down a native bush pathway from the house. Beautiful, uninterrupted views of the Lake from house and garden, relax and listen to the Tui and Bell birds. Enjoy a glass of wine in the private garden. Rest inside on the leather sofas beside the fire or watch the sun go down on all the stress you have left behind. The sunny, private section surrounding the house provides a restful setting for total ideal holiday getaway for a family of five or six, sleeps a max of six guests. Cosy living! Just a short walk down a private bush clad gentle path..
Beautiful property, clean, neat and well appointed. Beautiful property, clean, neat and well appointed. Walk down access to the lake, and a front row seat to the run course of Ironman New Zealand, We loved our stay at this property and Taup? in general. We hope to be back soon! Nice to be by the lake & access to the beach but the place is small. Nice to be by the lake & access to the beach but the place is small. The two rooms with the bunk beds are tiny, as are the beds. Anyone tall would really struggle to get comfortable. The toilet and shower are intimate! They are partitioned off by a wall but share the same ceiling area - so you hear everything! Overall I’d say it’s a good place for a family with kids rather than an adult group. Thanks Sarah, We have been renting it for 10 years and have only ever had positive feedback including from adult groups. I'm disappointed to hear your feedback but I hope you still managed to enjoy your time there... We actually state on the website it is 'ideal for a family...' but I will also update it to reflect your comments on the bunk beds. I do hope your next rental is more to your liking. Thanks again for taking the time to feedback . The unit is very clean and tidy, the location is fantastic with the lake virtually on the back doorstep and the town only minutes down the road. Great sitting outside in the evening taking in the view. Great place! We will book it for next year . Great place! We will book it for next year . Nice and quiet with great views of the lake. Perfect views, setup, everything you need for a relaxing time. Perfect views, setup, everything you need for a relaxing time. 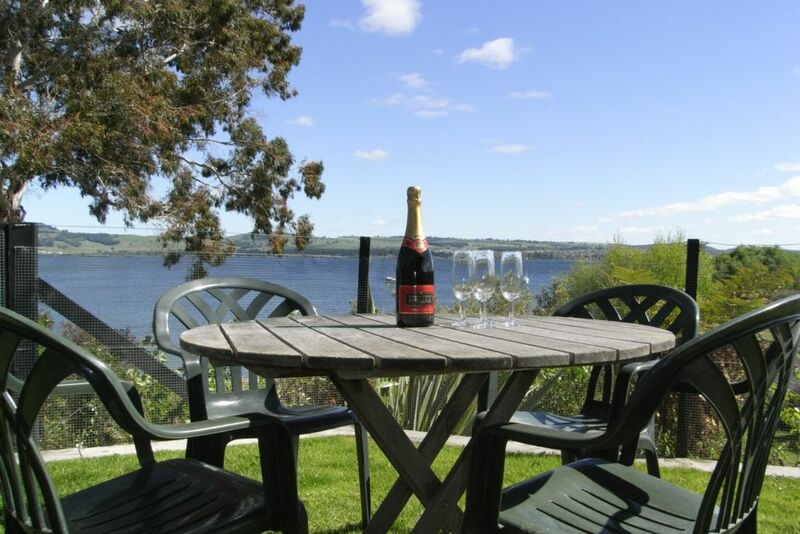 The direct access to Lake Taupo was one of the best of all the excellent features. Beds and all facilities were of hotel standard. Wish we had stayed longer to explore some of the walks around Taupo or just sit and enjoy the view. We would definitely rent this again.